If you are currently unemployed or are collecting un-employment benefits, and reside in the State of New Jersey, you may qualify for state funding for training. For eligible New Jersey residents, Robotech offers a comprehensive training program approved by the Department of Labor and Department of Education for unemployed architects, interior designers, engineers, draftspersons or those interested in the architectural and engineering fields. The 10-week program includes Autodesk’s CAD and BIM applications such as AutoCAD, Revit Architecture and 3D Studio Max, conducted under NJ state Department of Labor supervision at our Autodesk Authorized Training Center (ATC) located in Hoboken. The course is provided at no cost to applicants who qualify for this program. Interested candidates should contact Robotech’s training coordinator who will guide any interested candidates through the qualification process. Time invested to qualify will surely prove to be well worth the reward. Please contact Cissie Murphy at 201-792-6300 or email cissie@robotechcad.com, or register to check if qualified. This program has been designed for students who are interested in CAD (Computer Aided Design) and are looking to increase their design and drafting skills in this field. 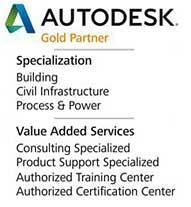 The course offers hands-on CAD training using AutoCAD software, the main Autodesk application for design and drafting. Students will gain experience with the AutoCAD application as well as the way it is used in the architectural, mechanical and other industries. Along with the CAD software, students will learn the basic computer skills that are necessary for using CAD Software. During the program students will learn how to use CAD functions to create construction drawings and block elements that are used in the design and drafting industry. This class will make individuals more marketable and help displaced workers re-enter the workforce. Since Robotech is an authorized Autodesk Training center, upon completion of the ten week program, students will receive official Autodesk certificates of completion for the AutoCAD application.